Left: Toothsome Typeface Tart. Right: Knockout Hot Chocolate. View larger. 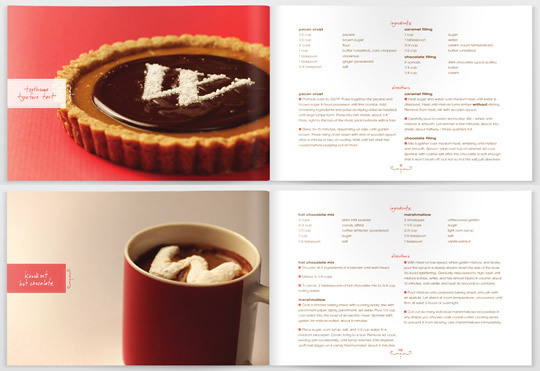 This looks nice: the Sweet Treats, a typographical cookbook by Woodward Design. Each is hand-numbered from a limited edition of 500. You can see a full preview on Issuu and can buy it at Etsy for $20.